Salters has been of “Suffolk Heritage ” for generations. Stephen Salter is the principle of Salters Pet Nutrition and has the determination, work ethic and experience, all gained by generations of family members who were local fishermen, farmers and more latterly butchers when Fred Salter (grandfather), became Aldeburghs Master Butcher at Salters Family Butchers – starting in 1922. The Suffolk family name of Salters has always been synonymous with butchery history, being purveyors of quality meats. This reputation has continued for the last 20 years – by being purveyors of a superb quality veterinary formulated foods for dogs. It takes a special kind of dedication to research, gain veterinary approval and produce healthy and nutritionally balanced dog food to the highest standard. Especially so when you’re competing with global companies with vast resources and multi-million pound advertising campaigns. We have risen to that challenge and produced a range of dog food to be proud of – promoted by loyal customers and stockists who’ve observed the difference Salters food makes to their dogs’ lives. Chicken is collectively our Number 1 Ingredient in our Puppy, Energy and Maintenance foods. 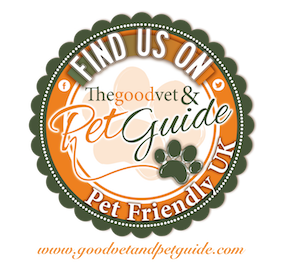 If you’d like help choosing which dog food is right for your dog please call us for a free consultation (0800 783 2555). The Salters family have always been dog lovers. Our focus is on high quality healthy and nutritious ingredients produced to an affordable price. All our ingredients come from dedicated suppliers who guarantee quality and traceability. This means we have crafted a dog food you can trust, which your dog will love. We want you to be totally delighted with our dog food, the effect it has on your dog and the service we provide. It’s important to us that your dog is a happy Salters’ dog – so we give you our Promise and Guarantee. We stand by these values. With our imaginative collection of ingredients we have…..
…found that Salters is regarded as a very healthy dog food, although not a totally organic dog food, we feel that our balance gives the very best of performance, the quality of chicken meat that we us we feel is unmatched. Salters is quite simply designed as a high quality dog food. From our ingredients we have produced a very natural dog food, that for the life of our company to date has never changed in both the quality and supply of every single ingredient. We know you love your dog or you wouldn’t have found us. Our dogs are part of the family. We want the best for them. They depend on us, for just about everything – from training and exercise to veterinary health care to diet and grooming. With dog years being 7:1 human years we want our dogs to enjoy the very best for the time they’re with us. We believe our dog food is Fit for a King and dogs tend to agree with us. Salters is the dog food you can rely on for high quality and trustworthy ingredients. Let your dog take our “Taste Test” to see if they like it before you commit to a larger pack. You can request your free sample here. Our dog foods are as healthy and nutritionally balanced as possible. Veterinary formulated, our complete, dry ultra-premium dog foods are hypo-allergenic and are the only dog foods to contain extra virgin olive oil. Every single ingredient has been hand chosen and is sourced from food fit for human consumption. The right dog food will help keep your dog in peak condition. Our foods are based on a fresh chicken and Round Grain Rice which could be used for both risotto and puddings. Wholesome, natural ingredients, vitamins and minerals with no artificial preservatives, colours or flavours mean our dog food is extremely gentle on dogs’ digestive systems, so is especially suitable for those suffering with gut or skin problems. Many behaviourists and trainers recommend Salters because we don’t use the chemicals which may irritate dogs and our food is of a calming nature. High quality normally means high cost. Salters believe every dog should have a balanced, healthy and nutritious diet from natural, wholesome ingredients at an affordable price. Keeping your dog in peak condition can help prevent expensive health problems. With Salters you can feed an average size Labrador for less than £1 per day (53 days of food / 283g per day / 98p per day – from a 15KG bag of Salters Maintainenace). With Salters, high quality becomes affordable. ‘We have tried many ‘good’ quality puppy and dog foods over the last few years but none never managed to tick every box – until we were introduced to Salters foods. Our puppies are now the most glossy, chunky and well muscled Spaniels we have ever produced. A huge difference has also been in the condition of the feeding mothers, none are losing any condition or weight before, during and after pregnancy, the coats are so glossy they are almost reflective and we are also having great feed back from our customers on how impressed they are too. Could not recommend it more highly. Let’s talk about our special breeders prices. Please call Stephen Salter on 01728604475, happy to talk.